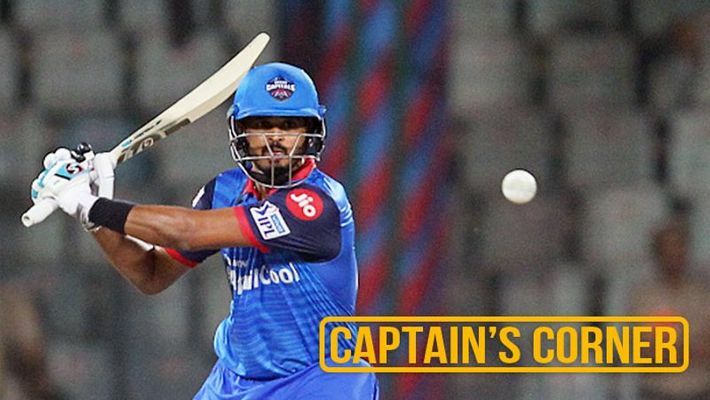 Delhi Capitals continued their winning streak and surprised Sunrisers Hyderabad in their own backyard. It was a slow pitch in Hyderabad and Delhi Capitals were asked to bat first after Kane Williamson won the toss in his comeback game. Delhi openers Prithvi Shaw and Shikhar Dhawan got out cheaply, but an attacking cameo by Colin Munro, who was sent in to bat at number three, kept the momentum going for Capitals. Munro scored 40 runs off just 24 balls and formed a good partnership with his captain Shreyas Iyer, who scored 45 runs off 40 balls. Owing to the slow nature of the pitch, the ball was holding up a bit and not coming on to the bat after the first few overs of the innings. SRH bowlers did well and kept things tight from both ends, restricting Delhi to a below-par score of 155 runs. So let's put on the captain's hat and try to figure out why Delhi Capitals won. From out of nowhere, Delhi decided to send Munro at number three and this turned out be a ‘game-changing’ move. Munro came in to bat with an aggressive mindset and it was clear that he had the permission from the captain and coaching staff to go all guns blazing. Munro’s knock made a big difference in the game because he was the only batsman to score 20 or more runs at a strike rate in excess of 150. Munro’s 40 runs at a strike rate of 166.66 allowed Delhi to put up a respectable total. In reply, SRH openers David Warner and Jonny Bairstow made full use of the hard ball and added 76 runs for the first wicket. When these two were going strong in the middle, it was looking like a one-sided contest but as the ball got older and the pitch started to tire, Keemo Paul and Kagiso Rabada used slower deliveries to great effect and swamped Hyderabad’s batting line-up. Paul slowed down his pace significantly and forced SRH's experienced batsmen like Bairstow and skipper Kane Williamson to play lose shots. Rabada also slowed his pace down and took two very important wickets — those of Warner and Vijay Shankar. All-rounder Chris Morris followed it up with three wickets in the next over to seal the game for Delhi Capitals. In modern day cricket, we don’t get to see good old ‘back of the hand’ slower deliveries as bowlers have shifted to the knuckle ball. But Paul and Rabada made full use of the conditions and tricked the SRH batsmen with subtle changes in pace. Lack of pace on a gripping wicket forced the batsmen to manufacture shots and when they attempted that, it resulted in wickets. Delhi’s think tank deserves a lot of credit for reading the conditions well and opting to bowl slow. Also, on a pitch that offers help to spinners, Delhi decided to go with fast bowlers (Paul and Morris) over their best spinner Sandeep Lamichhane.